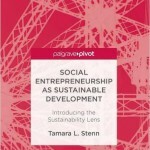 The startup has come to a screeching halt as I scramble to write a quick proposal for a college text on Social Entrepreneurism as a key to sustainability, pause for some holiday debauchery (kidding! ), and finish grading my students for the semester. However, it continues on in my head (alongside the visions of sugar-plums) and will soon have it’s chance to roll out a bit more next week (after a white paper my students co-authored on quinoa gets submitted for peer review with the HDCA Journal first). Day 1: Conception – THE CHALLENGE! 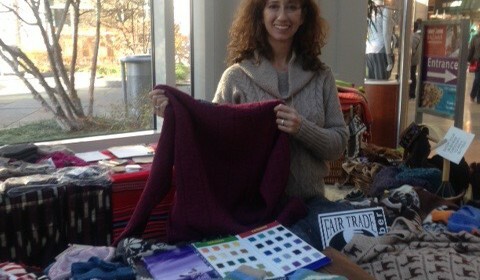 Since 1996, I have operated KUSIKUY Clothing Co., a Fair trade, eco-ethical, hand knit alpaca clothing company with sales worldwide, hime base in the US (Vermont), and production in Bolivia (and sometimes Peru). In our “heyday”of 2006, sales reaches beyond $100,000 and clients included Timberland (accessories), Whole Foods (children’s line in CA), and Giam (glittens). We sold 60% of our product online, 30% wholesale and 10% retail at pop up holiday events. Every year we had a new product line and designs. However, as a single mom, I found the business was taking me further and further away form my children. I decided to move into academia to have a more home-based employment that matched their schedules. KUSIKUY was left to fend for itself – no marketing, product lines or sales calls… slowly it powered down, losing $20,000 of sales a year. In 2010, a group of NYC fashion designers contacted me for custom production. This soon grew into a stable niche for us and the knitters learned much more sophisticated knitting and design techniques from the experience. Now my children are older (middle school and high school) and I have 9 months (6 months part time and a free summer) to see what I can do with the business. We are currently at net $0 in annual income, no debt, with about $8,000 of unsold inventory (samples, overknits, etc. ), and $1,500 in the bank. This blog will follow Tamara’s journey over the next 9 months as she sees what KUSIKUY can and will become – as it is brushed off and reconfigured to become an income generating, sustainable, social enterprise and well known, sought-out, eco-brand. 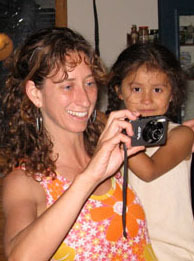 Photo: Tamara Stenn, single mom, with toddler in arms, directing a 2005 KUSIKUY photo shoot.